VpCI-368 is a time-proven coating that provides excellent protection to metal substrates exposed to harsh outdoor conditions. 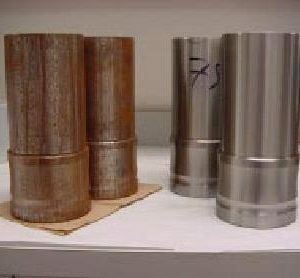 VpCI-368 leaves a firm, wax-like film that can be removed by mineral spirits or alkaline cleaners such as Cortec® VpCI-414. Packaging & Storage : VpCI-368 is available in 5 gallon (19 liter) steel pails, 55 gallon (208 liter) metal drums, totes, and bulk. 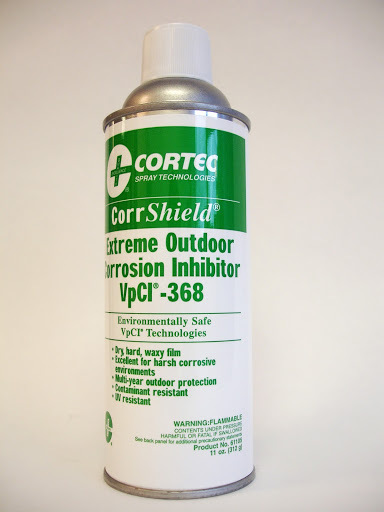 Available as CorShield® VpCI-368 in 11 oz. (312 g) aerosol cans.